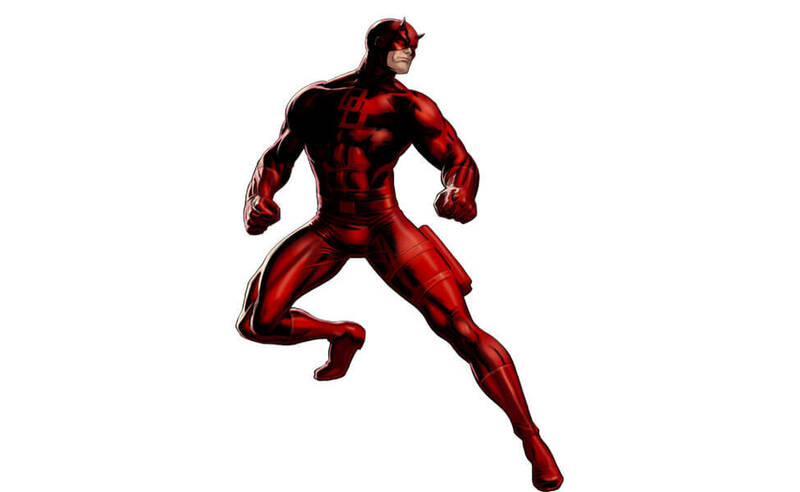 In the Marvel Comics, Matt Murdock is Daredevil, a blind lawyer turned superhero. 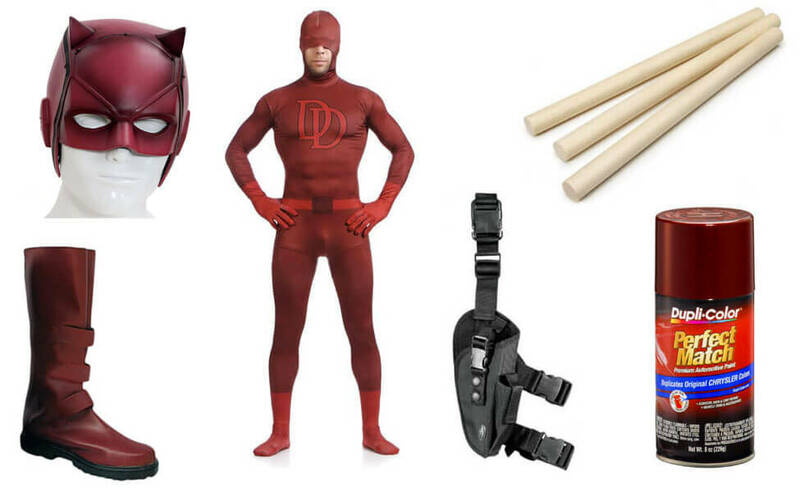 After he initially makes do with a homemade black suit, he upgrades to this red costume that we're all much more familiar with. 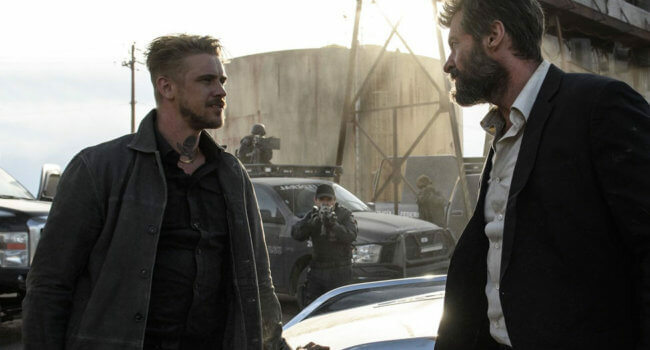 In Logan, Donald Pierce (Boyd Holbrook) is a cyborg who is leader and head of security for the militant group Reavers. 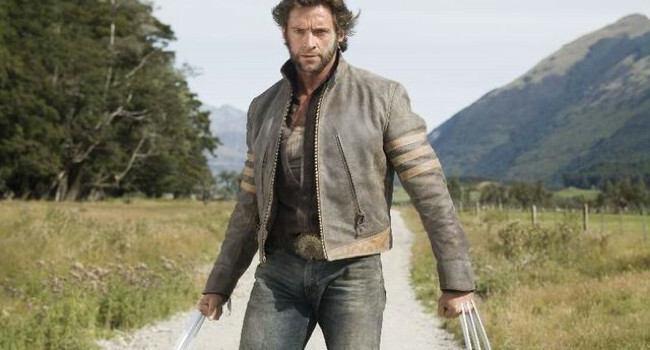 He is relentless in pursuing Logan, Laura, and Charles Xavier, even forcing Caliban to use his mutant-tracking abilities to find them. 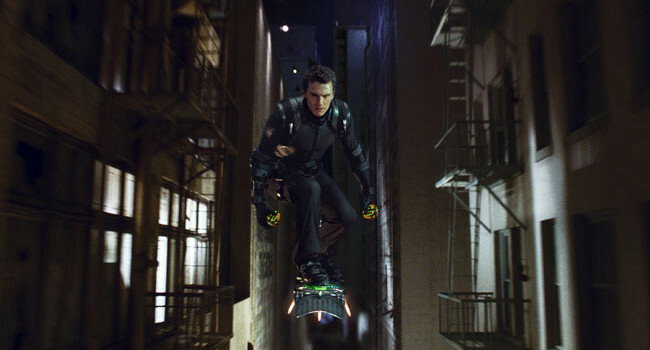 In Spider-Man 3, Harry Osborn (James Franco) is the dedicated son of Norman Osborn. Believing that his father was murdered by Spider-Man, and because Spider-Man is really his best friend Peter Parker, Harry decides to battle him directly as the new Green Goblin. 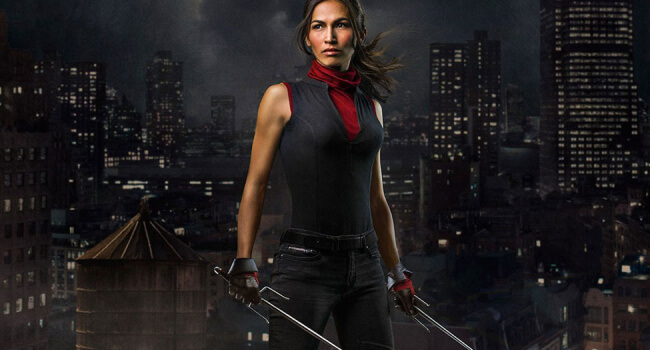 In the Netflix original series Daredevil, Elektra Natchios (Elodie Yung) drops in on Daredevil, with whom she clearly has a history. 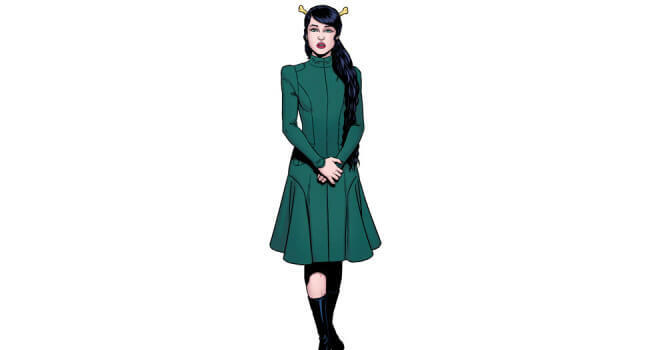 A highly trained assassin, she wields a pair of sais as her trademark weapon. What is the spraypaint for? Presumably to paint the wooden dowels to the appropriate color.